At Palola Dental, we take pride in offering many different dental treatments so you can have a healthy, happy mouth. Dr. Jaclyn Palola offers comprehensive dentistry services, whether you need a routine dental cleaning or complex service. Dr. Palola and her team can also perform root canals. Root canal therapy, or endodontics, is a procedure specifically used to treat the tooth’s soft pulp tissue. Your pulp tissue is made up of nerve cells, connective tissue, and blood vessels. When the tissue is damaged, you might have a toothache. When the soft pulp tissue is inflamed or infected, we can try to save your tooth with a root canal. Constant Toothaches: If your toothache won’t go away or becomes severely painful, you are probably experiencing a tooth infection. A root canal will alleviate your toothache and improve your oral health. Abscesses: An Abscess is a swelling of the gum tissue, creating a bump under your tooth. Abscesses are good sign that your tooth is infected. A root canal treatment will help remove the abscess and help you feel better. 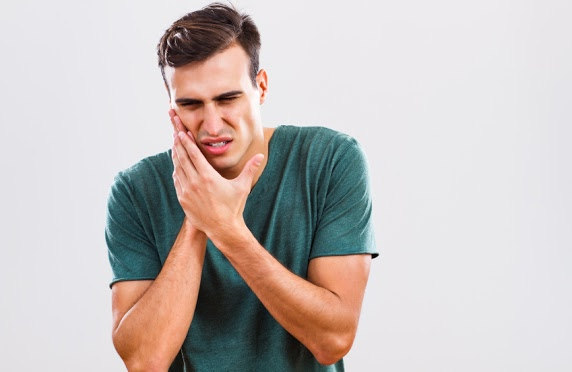 Extreme Sensitivity: Tooth sensitivity might not mean your tooth is infected, but if you are experiencing extreme sensitivity along with other symptoms of infection, call us right away. A root canal is likely together rid of extreme tooth sensitivity. Swelling Around the Teeth: If your gums are swollen around a tooth or several teeth, assess if you are having any other symptoms of infection. In many cases a tooth infection like this will require a root canal. If you have any of these symptoms, please see your family dentist in Waipahu and Mililani for a consultation and exam. Your Mililani and Waipahu dentist and dental team will work together safely and carefully to get rid of the infected pulp tissue in your tooth. Once the infection and decay is removed, we will seal the tooth to stop future decay. Most patients who receive a root canal treatment will also need a dental crown. Our porcelain crowns look and feel natural, and they provide long-term protection and functionality. A dental crown will also give you a full, glowing smile! Contact Your General Dentist in Mililani and Waipahu! If you would like to schedule an appointment with your Mililani and Waipahu dentist, call us or fill out our online appointment request form. We can answer any questions you might have about root canals. We are thrilled to start helping you live a healthier, pain-free life.